I had the pleasure of helping out with my dear friend Tracy's bridal shower this past weekend. When she exchanges vows with her future groom in July, I will have the honor of standing at the altar beside her. It isn't very often you're able to share in special moments like that. 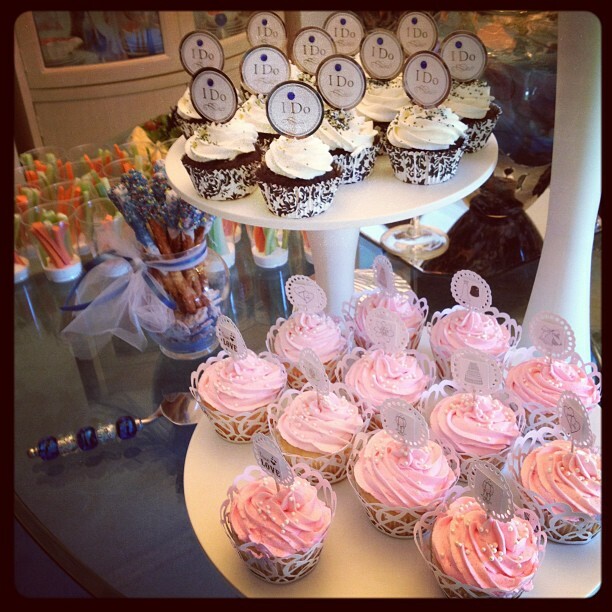 To add to the excitement, I was responsible for creating the shower cupcakes. You all know how stoked I was about this. After tossing around idea after idea, I decided to go with two different flavors/designs. And I'd have to say they turned out great! 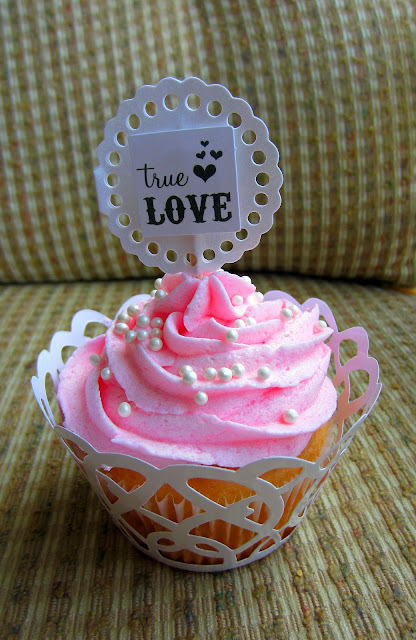 The first ones were my Strawberry Champagne Cupcakes I made earlier in the year. 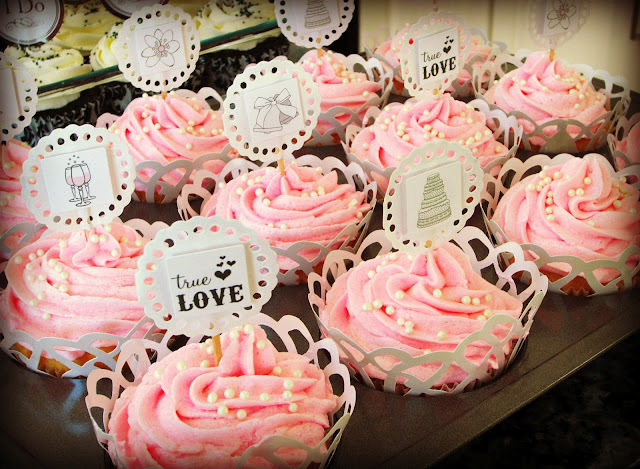 I tinted the icing pink, added some sugar pearls and wrapped with some white lace wrappers. 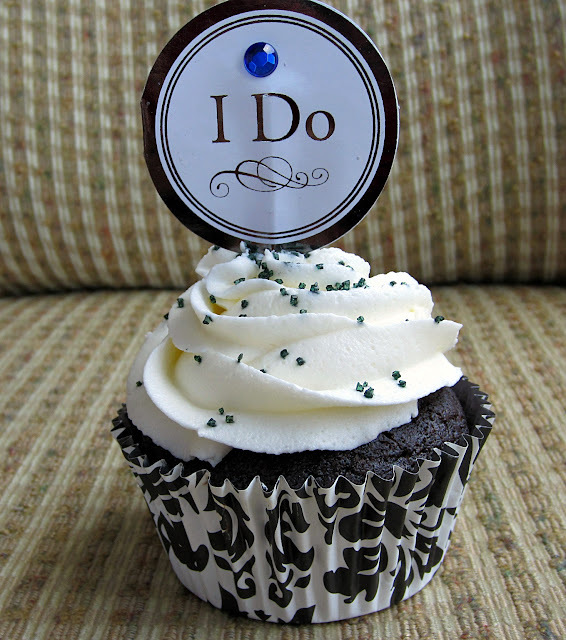 I custom made the cupcake flags by using some lace doily paper and some wedding sticker embellishments I found at Michael's. How cute riiighht?! The second cupcake I did was a chocolate cupcake topped with vanilla buttercream. 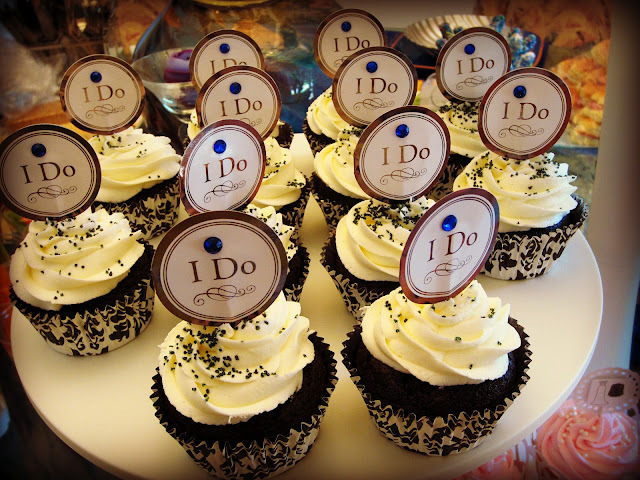 I added some "I Do" cupcake flags and glued some royal blue rhinestones to them. (Tracy's wedding color!) I dusted with some black sanding sugar to match the black damask cupcake liner. looooveee these. All the ladies at the shower gave me "oooh's" and "aaah's" and I have to tell you I was tickled pink. More importantly, the bride loved them! I seriously cannot wait to bake for my next event! Even though the cupcakes were what I was most pleased with, I wanted to share with you the other "task" I was given. I was recruited to hand paint the wine glasses for the mothers and the bridal party. Let's be real people. I can't draw for crap. If the world depended on my artistic ability, we'd be completely screwed. I had no idea where to start. But, alas! I found this awesome tutorial that gave me some inspiration and I ran with it. 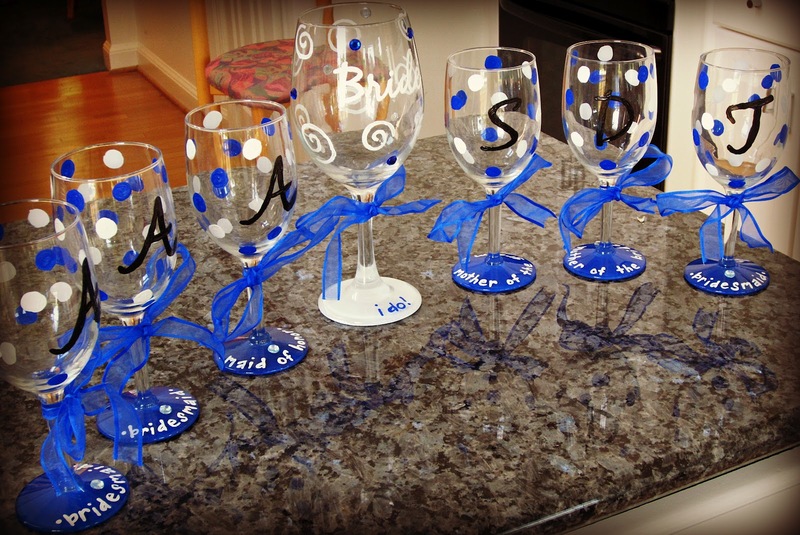 I used one of Tracy's wedding colors, royal blue to paint the bases and added the wedding date to the bottom of the glasses. 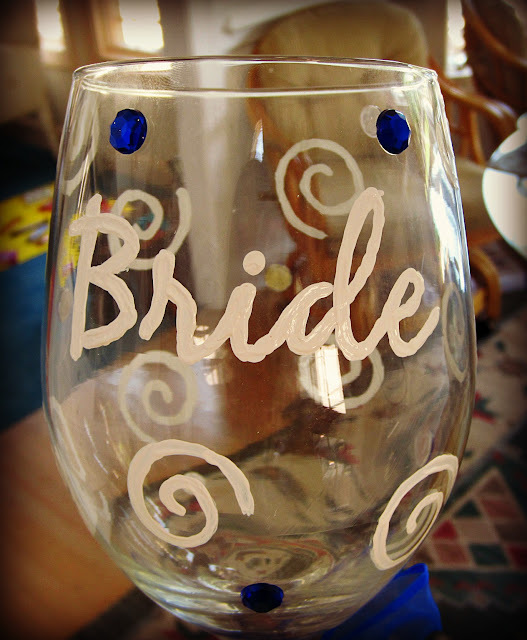 The bride had her own special glass! 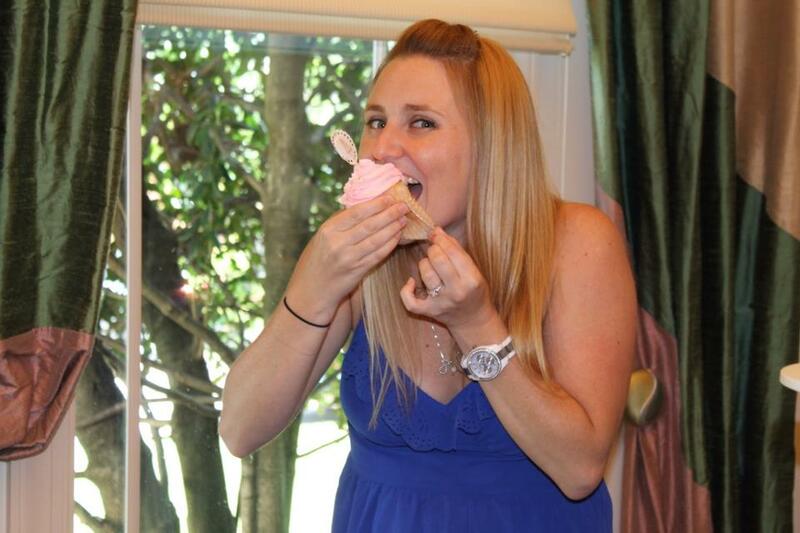 the bride to be digging into my baked goodies! trace and her bow bouquet. what a trooper! All in all, I'd say it was a successful day! I hope the bride loved it as much as I loved doing it! 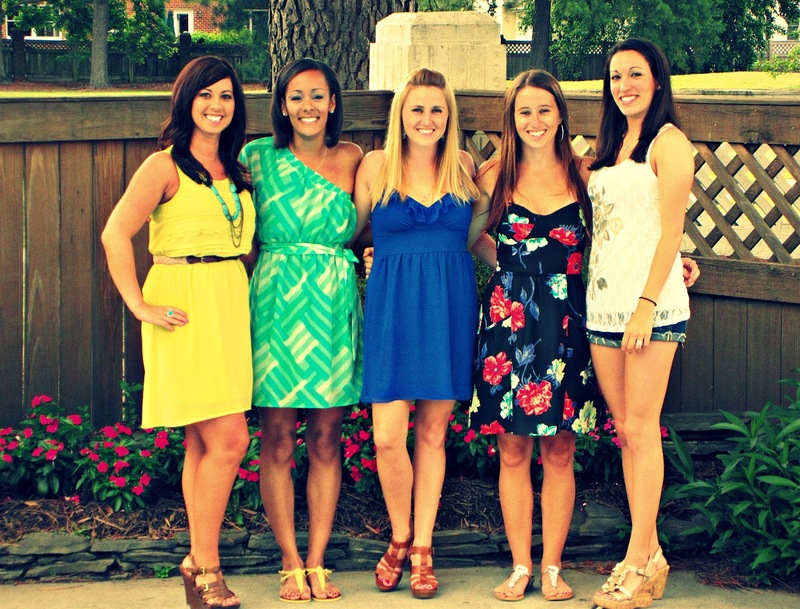 The bridal party: Myself (looking fierce in yellow! ), Aireka (I want to steal your dress. 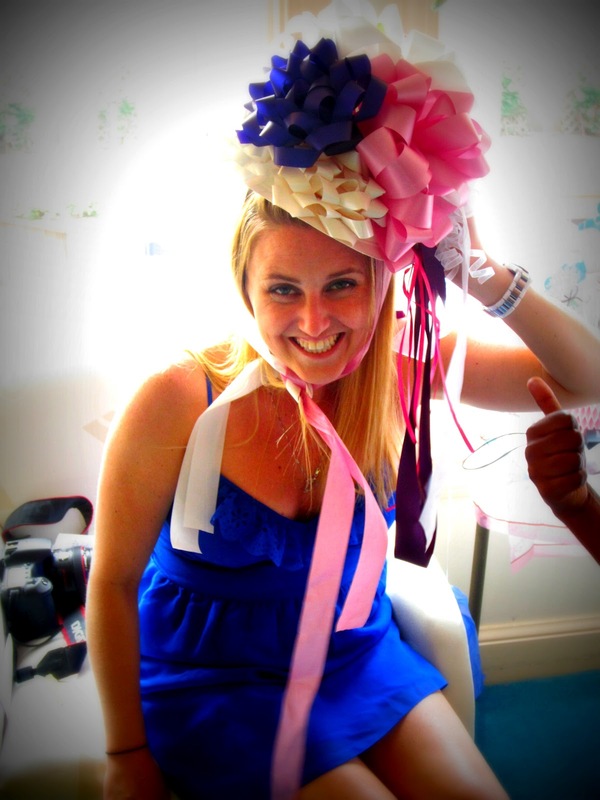 ), Tracy (the beautiful bride to be! 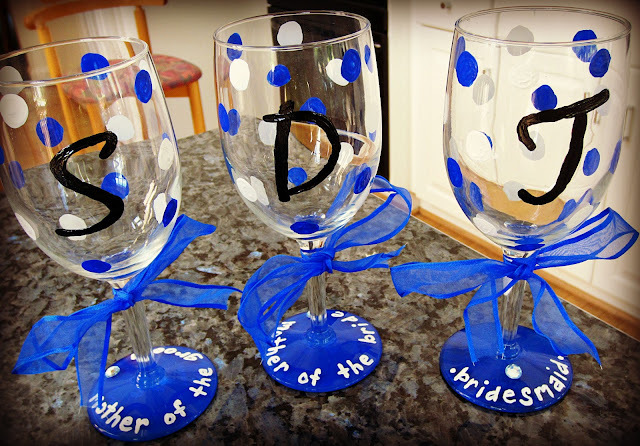 ), Amanda (her sister and maid or honor), and Andrea (her future sister in law). What do you guys think? 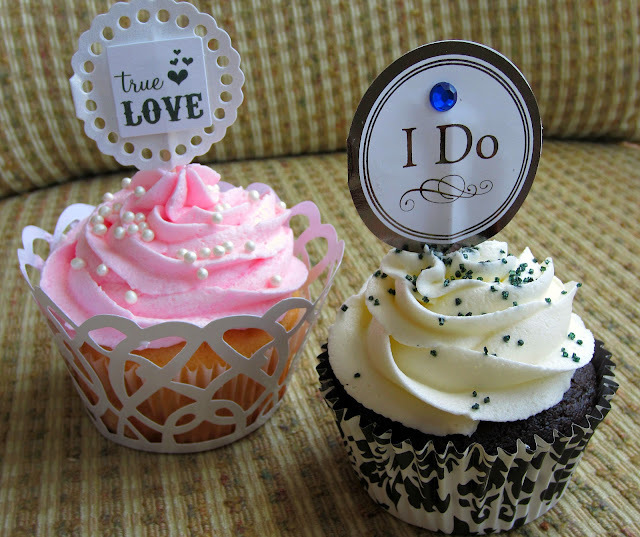 Did I do alright for my first cupcake bridal shower?